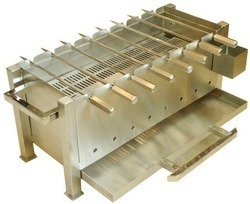 Our product range includes a wide range of barbecue grill, food warmer, steel chafing dish, square hydraulic dish, round hydraulic dish and brass chafing dish. Owing to the expertise of our team of experienced professionals, we are able to manufacture and supply an exclusive range of Barbecue Grill. 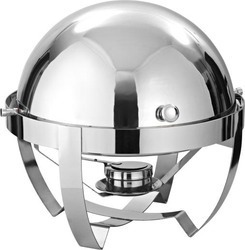 Our in-depth knowledge and industrial expertise enable us to offer a distinguished range of Food Warmer. 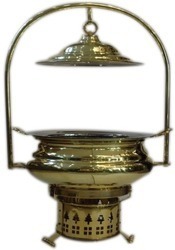 These baskets are manufactured using excellent quality steel and latest technology by our qualified professionals. In order to ensure quality, these baskets are stringently tested on diverse parameters by Our competent professionals. Apart from this, remarkable quality and sturdiness increase the demand of our offered range in the market. Our clients can avail this range from us at market leading prices. 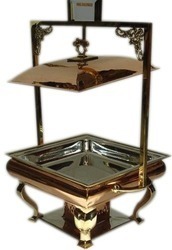 Owing to the expertise of our team of experienced professionals, we are able to manufacture and supply an exclusive range of Steel Chafing Dish. Owing to the expertise of our team of experienced professionals, we are able to manufacture and supply an exclusive range of Square Hydraulic Dish. Owing to the expertise of our team of experienced professionals, we are able to manufacture and supply an exclusive range of Round Hydraulic Dish. 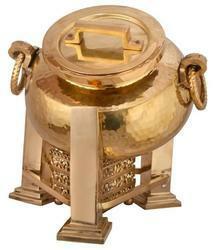 Our Brass Urli Bowl is an exquisite version of the traditional Indian bowl. Handcrafted of brass, this decorative bowl makes an elegant and exotic statement piece that lends a subtle global sophistication to any space. 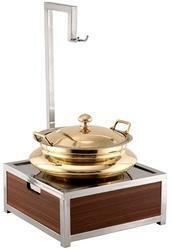 Backed by sound infrastructure, we are able to provide patrons with superior quality Brass Chafing Dish. 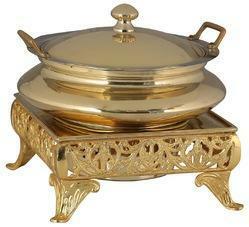 Our customers can avail from us an excellent quality range of Brass Chafing Dishes. The offered pan with cover is manufactured using high-quality material and other steel as per set industry norms. Our pan with cover is appreciated by our clients for its corrosion and rust resistant properties. Clients avail this pan with the cover in diverse dimensions as per their specific demands. 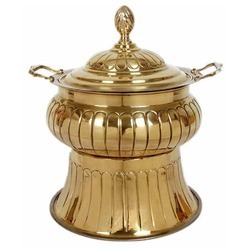 Owing to the expertise of our team of experienced professionals, we are able to manufacture and supply an exclusive range of Brass Chowki Chafing Dishes. 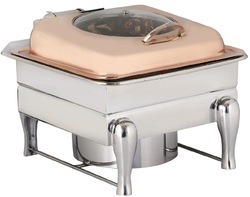 Backed with rich experience and knowledge in this sector, we are considered to be one of the most professional manufacturers and exporters of Chafing Dish. 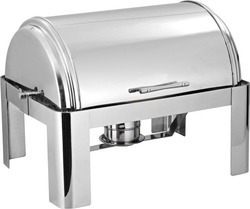 Backed by sound infrastructure, we are able to provide patrons with superior quality Chafing Dish Rectangular Roll Top. 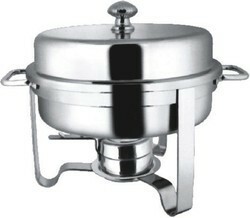 Backed by sound infrastructure, we are able to provide patrons with superior quality Chafing Dish Round Lift Top. Backed by sound infrastructure, we are able to provide patrons with superior quality Chafing Dish Round Roll Top. 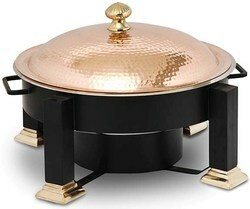 Backed by sound infrastructure, we are able to provide patrons with superior quality Chafing Dish With Copper Plating. 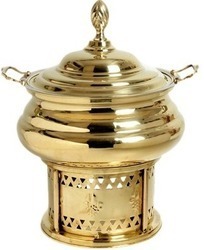 Backed with rich experience and knowledge in this sector, we are considered to be one of the most professional manufacturers and exporters of Char Minar Chafing Dish. 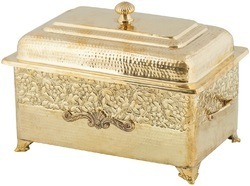 Our Chafing Dishes are ideal for keeping food warm for a longer period of time during parties and functions. Offered in diverse styles and designs, we also custom make as per clients' requirements. Available in 6ltr and 8ltr capacities. Our customers can purchase from us a wide range of Modern Catering Dishes. These are designed keeping in mind the preferences of the customers. Our modern catering dishes are also as per the latest market trends. 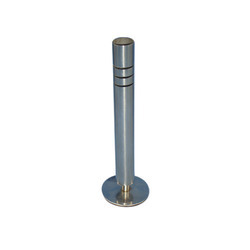 As an esteemed name in the relevant industry, we are offering a precision-engineered array of Flower Holder. Our offered products are intricately designed under the supervision of skilled professionals using quality tested steel and sophisticated technology in line with the international quality standards. Clients can avail this range in diverse designs, shapes and sizes at market leading price within given period of time. Backed by sound infrastructure, we are able to provide patrons with superior quality Flower and Bud Holder. 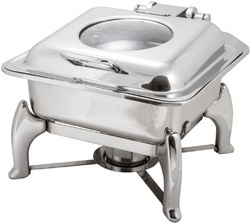 Owing to the expertise of our team of experienced professionals, we are able to manufacture and supply an exclusive range of Handi Chafing Dish. 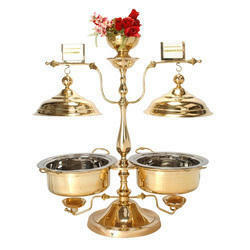 We offer Hayat Handi Chafing Dish in various sizes. 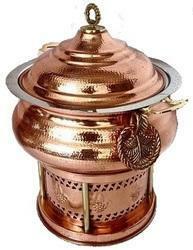 The Sigri helps to keep the food warm for a longer time while serving on the table. 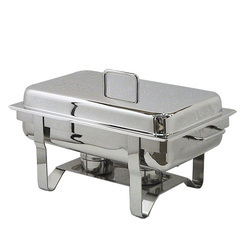 Backed by sound infrastructure, we are able to provide patrons with superior quality Rectangular Chafing Dish. 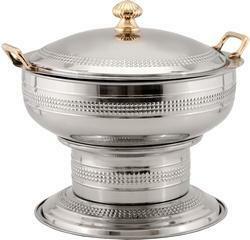 Backed by sound infrastructure, we are able to provide patrons with superior quality Round Chafing Dish. 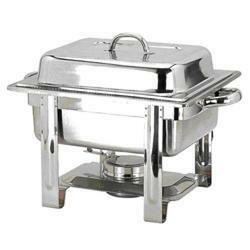 Owing to the expertise of our team of experienced professionals, we are able to manufacture and supply an exclusive range of Stainless Steel Chafing Dish. 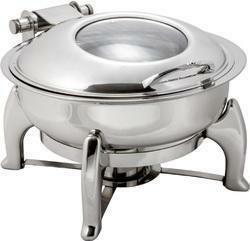 Backed by sound infrastructure, we are able to provide patrons with superior quality Twin Chafing Dish. Owing to the expertise of our team of experienced professionals, we are able to manufacture and supply an exclusive range of Barbecue.